The Olympian took to Instagram Tuesday to reveal he and his wife Nicole are expecting their second child. In this file photo, Michael Phelps, Nicole Phelps and Boomer Phelps attend the Huggies Little Swimmers swim class with the Phelps Foundation on Aug. 21, 2017, in New York City. 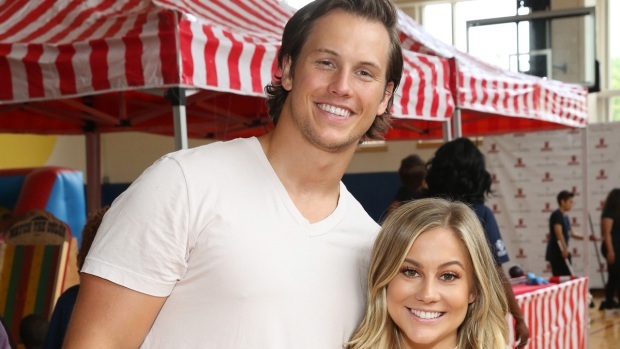 The couple announced they are expecting their second child on Aug. 29. 2017. Looks like any potential rematch in the shark race will have to wait. Michael Phelps will have his hands full changing even more diapers in the very near future. "Number 2 on the way!!!! So excited!! Wonder if it’s a boy or a girl??" 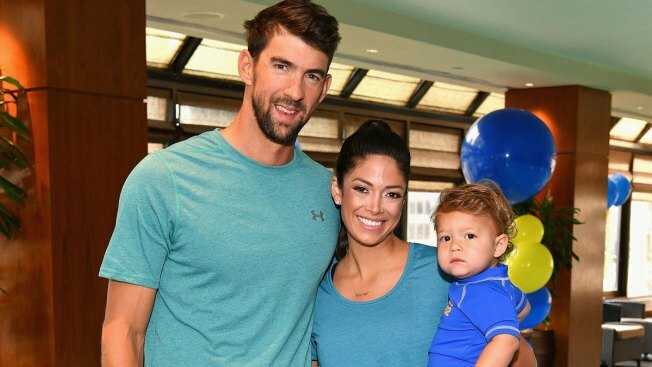 Phelps, 32, captioned the photo of the couple’s son Boomer clutching a pregnancy test. Nicole posted the same photo on her Instagram account and wrote "Lil mans going to be a Big Brother!!!" And on baby Boomer's official Instagram account, the family posted a picture of him and wrote "So excited to see what mama is having!! Do I get to have a brother or a sister?!?" So excited to see what mama is having!! Do I get to have a brother or a sister?!? The couple secretly married on June 13, 2016, just one month after Boomer was born.